If you are in the Auckland area, I am available to speak to your school, kindergarten, daycare or mothers group about potty training, healthy eating for kids or helpful tips for mamas to stay sane and happy. 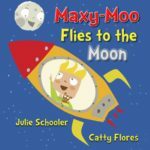 I would also be delighted to read my picture book, Maxy-Moo Flies to the Moon to your tiny humans. Unlike everyone in the world, I LOVE public speaking! I spent five years at Toastmasters and received the Competent Communicator award. Contact me at julie@julieschooler.com with your enquiry. 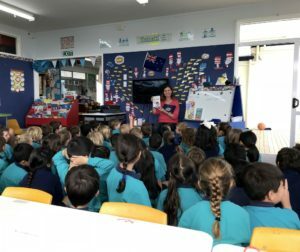 ‘Julie came and spoke at our kindy. She was knowledgeable and amusing in her short talk on her two books and was happy to answer any questions during the Q&A.’ – Chelsea Kindergarten, February 2017.